Former Majority Leader of the Rivers State House of Assembly, Mr Chidi Lloyd will on Thursday take his plea on fresh charges on Murder and attempted murder preferred against him by the Rivers State Government. On Wednesday, a High Court sitting in Port Harcourt dismissed an application filed by the former leader of the Rivers State House of Assembly, Mr Chidi Lloyd for lack of merit. The accused person Chidi Lloyd is facing fresh charge No: PH/691CAP/ 2018; State against Chidi Lloyd on Murder , charge No: PH/692CAP/2018, State against Chidi Lloyd on attempted murder , charge No: PH/693CR/ 2018; State against Chidi Lloyd on injury and destruction of public property. Delivering his ruling on the application, trial Judge, Hon. Justice Chiwendu Nwogu dismissed the application for lack of merit, saying that the court has the jurisdiction to try the accused person. The trial Judge adjourned the substantive matter to Thursday December 6, 2018 for the accused person Chidi Lloyd to take his plea before the court. After the ruling, counsel to the State Government, Damilare George Adeyemi explained that the former majority leader of the Rivers State House of Assembly, Chidi Lloyd will be been prosecuted on a fresh charges under the Criminal laws of Rivers State and not under the legislative act . 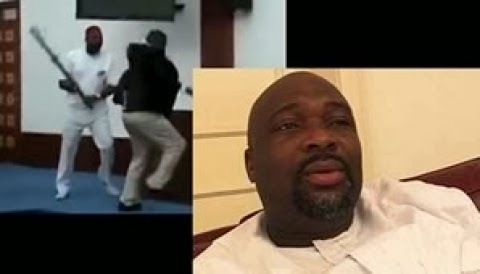 It will be recalled that Former Majority Leader of the Rivers State House of Assembly, Mr Chidi Lloyd almost murdered fellow lawmaker, Michael Chinda through the use of a mace. The Former Majority Leader severely injured his former colleague, spilling his blood on the floor of the House. Homicide Squad Exhume Body Murdered Woman Buried In Boyfriend’s Room..